How do I use the report tool for boards? 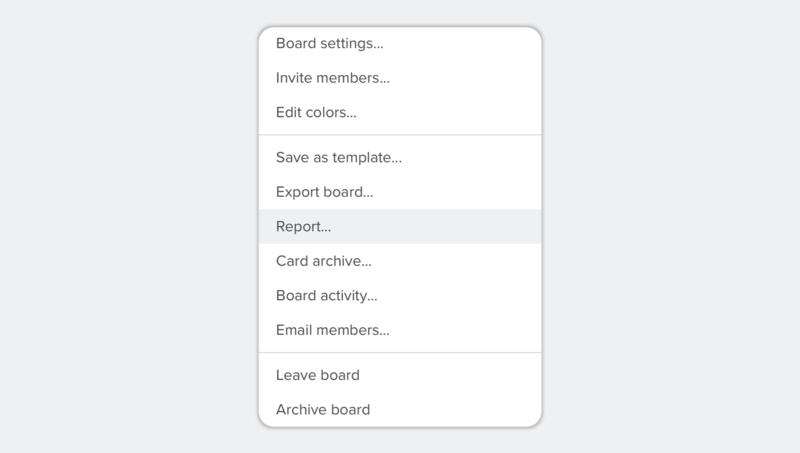 Our board report tool will give you a breakdown of what cards are completed/incomplete, overdue and the overall status of the board. 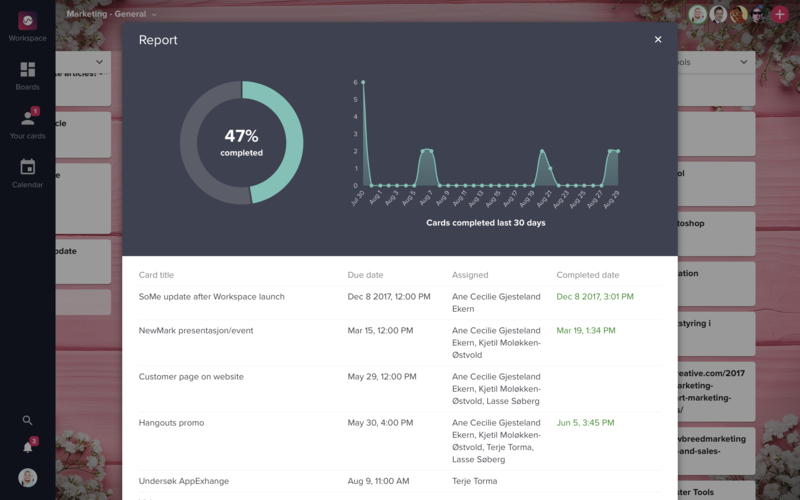 The board report is accessible from the board drop down menu. To access the drop down menu, click on the arrow next to the board name. PS: We will add download capabilities soon!